But what exactly is a digital transformation? And how do you navigate the complexity of digital transformation into your business in the most seamless, painless and cost-effective way? Most businesses need to update the way they do things, but many are uncertain about how they start their digital transformation journey. – Deliver a world-class customer experience so you can keep delighting your customers. – Operate more efficiently, reduce costs and be more productive. – Encourage innovation and collaboration within the company. It’s also important to understand your customers’ behaviour across all touchpoints of their journey so your new processes and technology can delight your customers and deliver exceptional customer experience. Here’s a little more about the digital transformation process and how to make it work for your company. This term is used so much these days, but it’s fair to stop and ask exactly what it is, especially if you’re planning on going through one at your company. 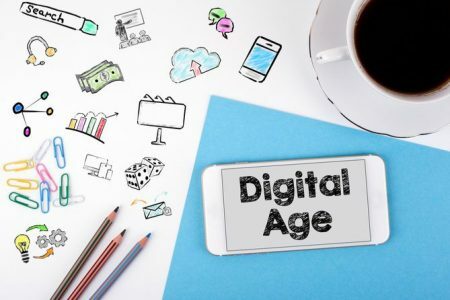 Essentially, digital transformation is a variation of organisational change in which your company adopts digital solutions to help it maximise efficiency, responsiveness and productivity. More specifically, and for our purposes, it’s about transforming customer service by using digital solutions. It requires updating legacy technologies as seamlessly and painless as possible and installing new technologies where needed to leverage automation and integration to help you better serve the needs of your customer. A digital transformation can be focused on one area of the business more than another, such as your contact centre, but it tends to affect all aspects of the business, improving the collaboration of your organisation to allow it to run more efficiency and effectively. So, let’s take a look at some of the different ways a digital transformation can help you achieve your business goals. All customers demand excellence from you, and maintaining their loyalty requires you to delight them at every opportunity. In many ways, the Digital Age has sent us into a customer experience transformation, which means being quicker, more accurate, more attentive and more available than ever before. People come into contact with brands in many different ways. It may happen via mobile, email or on your website. But to really delight customers and differentiate yourself over your competitors, you need to make them feel like each one of these touch points is deliberate. Aligning your Contact Centre to produce an omnichannel customer journey is a way to do this. This means that if someone contacts you via email but their next touch point happens to be a phone call, your agents should have the information from both touch points on their screen. It shows you’re attentive to the customer’s needs, they don’t get frustrated having to repeat themselves and you are able to respond to them in a way that is helpful. This improves the customer journey and enhances the relationship you have with your target market. Another thing customers are demanding now more than ever is personal attention. It’s no longer acceptable to create content for the masses. You must find ways to show your customers that you know them and are capable of responding to their specific needs. Doing this manually without integration is impossible. If your systems are not integrated, you will find your company is working in silos. This simply will not cut it in today’s fast-paced world. Implementing automated, integrated solutions will make it much easier for you to reach your customers in a personal way. Amazon Connect is a good example of how to personalise your approach. It uses Lex, a conversation bot (think Alexa), whereby callers can perform tasks such as changing a password, requesting a balance on an account, or scheduling an appointment, without needing to speak to an agent. These conversation bots use automatic speech recognition and natural language understanding to recognise the intent of the caller. It aggregates data about your customers and presents you with data that’s much more powerful in your quest to produce a more personalised customer experience. Innovation is a hot topic among most business leaders today. With things changing so quickly, it’s more important than ever for businesses to be able to innovate and stay ahead of the competition. A consistent communication platform that maximises user uptake. For today’s 24/7/365 workforce, a platform such as Skype for Business will enhance working experiences by improving communication and collaboration. It reduces inefficiencies from using multiple platforms and removes siloed and fragmented working practices whilst enhancing user experience (vital for user uptake). Integrated systems that allow people to work across a variety of different platforms. A lack of integration breeds inefficiency. Agents should be presented with one interface that talks to the CRM and any other technologies you have. By doing this, you are providing agents with the tools to delight your customers, rather than frustrate them with repeated, inconsistent communication. A big part of digital transformation is removing this clunkiness and making technology a true asset. Businesses want innovation and insight. In a market that is so fast-paced, it’s important to always seek better solutions to keep ahead of your competition. Being innovative and flexible means you can anticipate change in the market and make the necessary updates. You need innovation that actually delivers tangible value. Today’s markets are competitive. Consumers consistently demand more for less, and companies that fail to deliver are quickly pushed aside. As a result, any digital transformation you undergo needs to help you be more efficient and productive, which will allow you to stay competitive and keep customers from turning to other brands. But what are some ways you can use digital technologies to help you be more efficient and productivity? We started the article with an example of the IoT in our lives: smart fridges that keep inventory and automatically order new supplies, or notify you, when stocks get low. But how does this help you deliver better service to your customers? In short, it gives you information before its reported by your customers, giving you the chance to proactively respond to a problem, instead of reacting to it after it has been brought to your attention. Referring back to the fridge example, by making it IoT enabled, not only can customers stay on top of the food they have in stock, but problems, such as a broken compressor, can be identified at the time they occur. This way, when someone reaches out, you will not only already know about their problem, but you will have a solution waiting for them. This type of proactive customer service is what will set you apart from the competition and will keep people coming back. For example, if you sell manufacturing equipment, making it IoT enabled will allow you to closely monitor your products and address problems before they become too serious, which is a level of customer service most people aren’t used to, but that they will greatly appreciate. 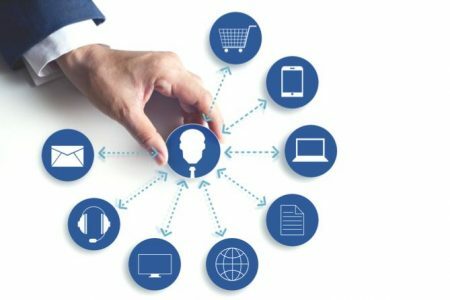 The Internet of Things is a burgeoning field, but it’s one that is set to reshape your contact centre and help make your customer service operation far more effective. Part of becoming more efficient is using data to spot areas where improvements need to be made. However, fragmented technology can make this difficult, or time-consuming, slowing you and your company down. For example, many companies have different technologies for different steps in the service process. A ticket may be created using one system, and then it’s entered into another, and then accessed in another. All of this movement from one system to the next wastes time and increases the likelihood of human error. The key is integration. Bringing all service functions under one roof, and then implementing AI- and automation-based solutions, will help you streamline your Contact Centre. You can order tickets based on priority, allowing agents to work on the most urgent issues and have time to give them the attention that they need. And then you can add less serious issues to your database, allowing you to spot larger trends and deal with them before they become significant. Digitising your Contact Centre will also help you organise tickets by location and vendor type, which makes it easier to spot trends and develop a proactive service approach that will please your customers more and give them a reason to keep coming back, which is just one of the many benefits of digital customer service. Digital transformation needs to be one of your priorities in terms of organisational change and development. Implementing best of breed technology that is integrated into your existing estate whilst automating what you can to be more efficient will help you better serve and delight your customers.